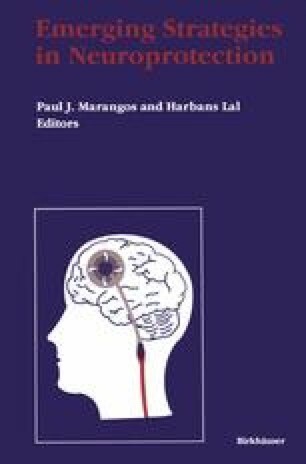 The 1990s have been designated as the “Decade of the Brain.” In a position statement, the National Advisory Neurological Disorders and Stroke Council (1990) stated that during this period we will see “The prevention of 80% of all strokes and protection of the brain during the acute stroke.” To accomplish this task new therapies must be developed. The safety and efficacy of any new agent must be demonstrated in adequate and well-controlled trials. The fact that there are no effective agents in the area of stroke treatment prevents us from having a standard to which new agents can be compared. Without a baseline it becomes difficult to select the proper dosage, determine the maximum treatment duration, and choose the proper measurements in order to assess the efficacy of a new agent. There have been numerous agents tested over the past decade. Unfortunately there is still no consensus among stroke investigators as to the ideal protocol design. A critical review of past studies can help determine strategies for a successful development program of future drugs. It is hoped that this review can encourage the development of adequate and well-controlled protocols that will fulfill the U.S. Food and Drug Administration’s (FDA’s) requirements.